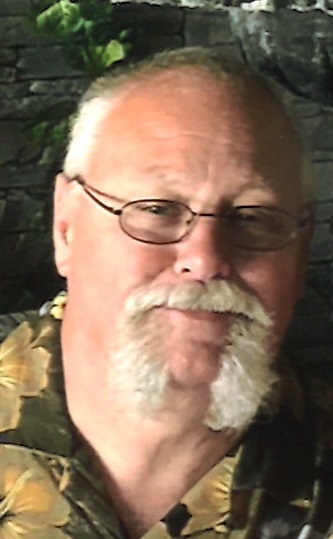 Samuel E. Futrell, 62, of Peru, passed away at 1:19 A.M., Wednesday, December 5, 2018 at his residence. He was born in Lundin Links, Scotland on July 1, 1956, the son of Glennis O. and Patricia Graham Futrell. Sam married Jana Davidson Jenkins Futrell in Peru on September 10, 2011 and she survives. Sam graduated from Maconaquah High School in 1974 and was retired from Coca Cola and Orion Safety Products. He was a devoted husband, father and grandfather, who enjoyed life to the fullest. Sam also worked as a mechanic at Clown Town Cycles of Peru and was an avid Harley rider. Sam traveled throughout the state of Indiana as a member of the competitive shooting club “Team Turtle ISPC” with his teammates, John Alley and Hoss Hostetler. Surviving in addition to his wife, Jana, are his children Michael Ramsey and his wife Emily of Peru, Allyson Lawson and her husband Eddie of Rochester, IN, Tiffany Futrell of Rochester, IN and Rachel Jenkins of Indianapolis, IN; grandchildren Abby Ramsey, Ethan Lawson, Wesley Lawson and Drew Lawson; brothers Graham Futrell and Darrell Futrell and his wife Paula and a sister Melayna McConahay and her husband Jim; brothers-in-law Andy Davidson and his wife Krysha and Jim Davidson and his wife Cilla and his father-in-law, Jack Davidson. Also surviving is his puppy dog, Sadie, several nieces and nephews and several friends which were as close as his brothers. He was preceded in death by his parents and a brother, Glen Futrell. Visitation will be from 3:00 to 7:00 P.M., Sunday, December 9, 2018 at the Eikenberry-Eddy Funeral Home, 84 West Main St., Peru. Funeral Services will be at 11:00 A.M., Monday, December 10, 2018 at the Eikenberry-Eddy Funeral Home with Pastor Charlie Riley and Pastor Ron Utter officiating. In lieu of flowers, memorial donations may be made through the funeral home to the Guarding Angel Hospice.